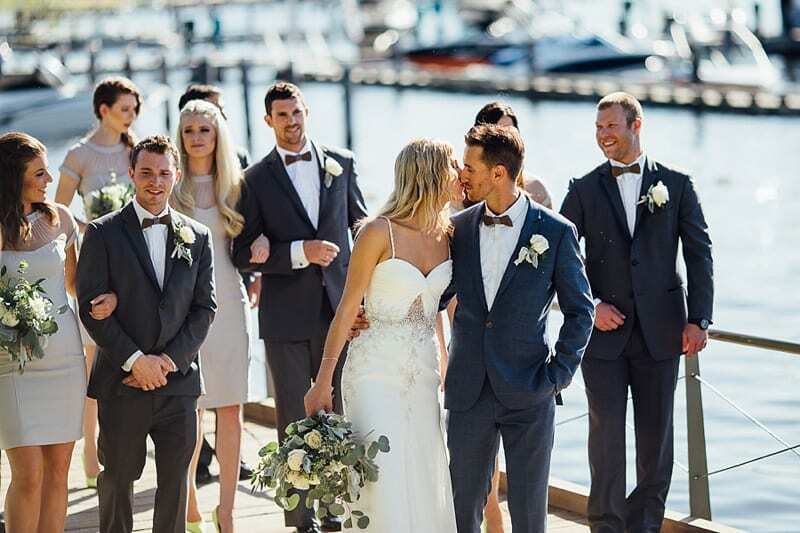 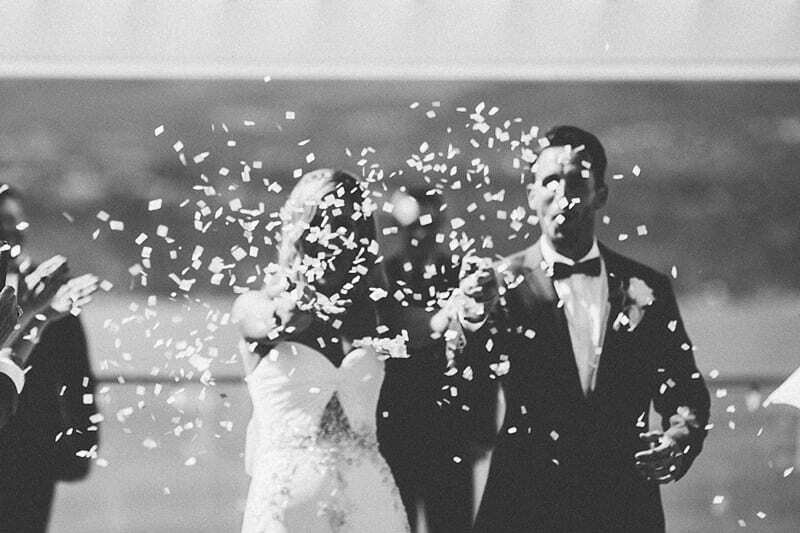 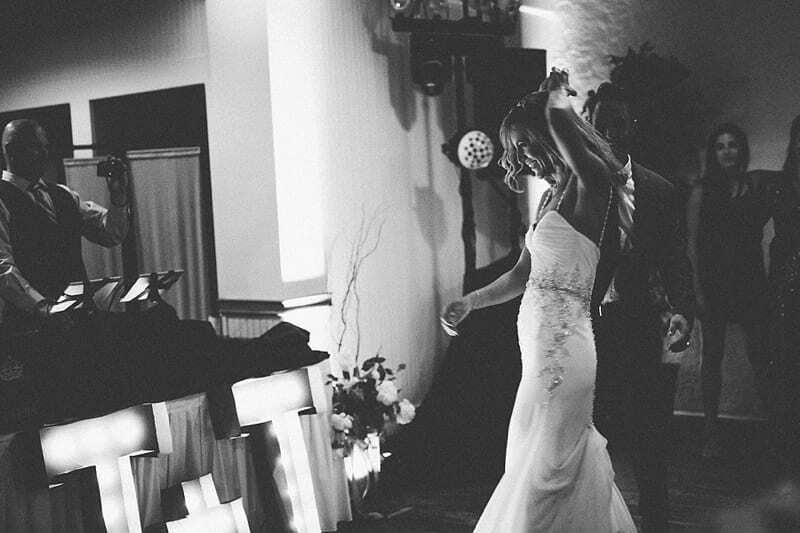 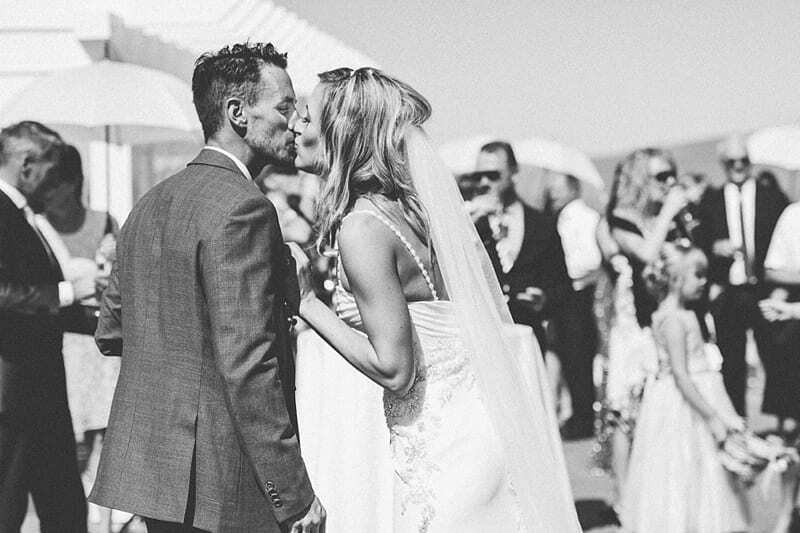 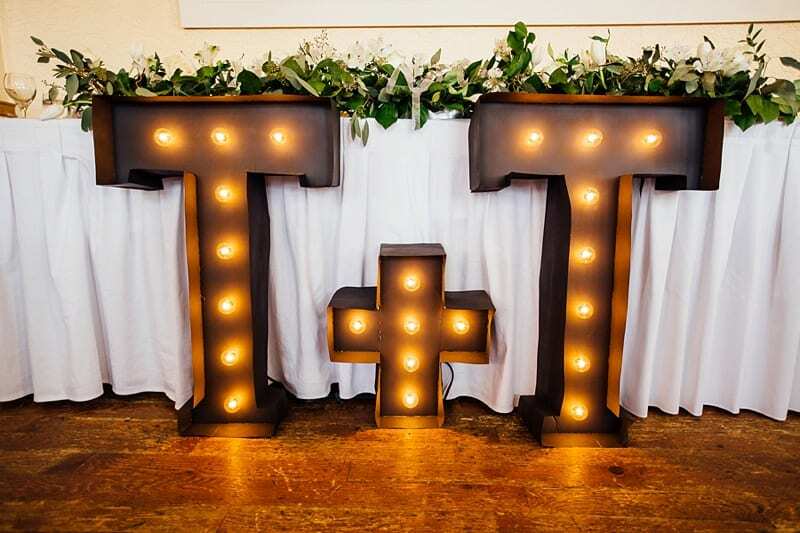 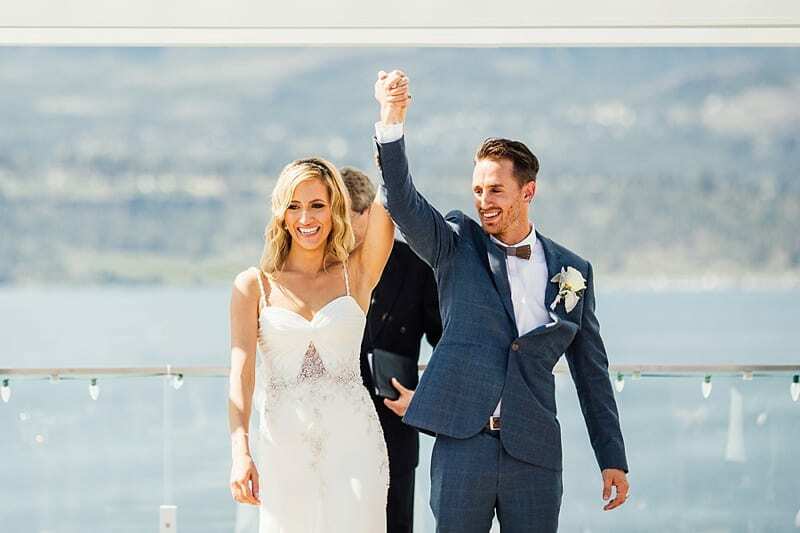 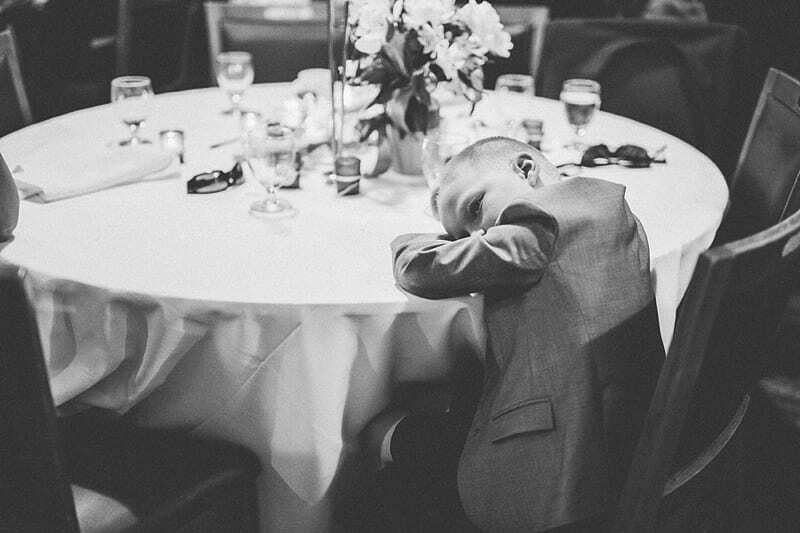 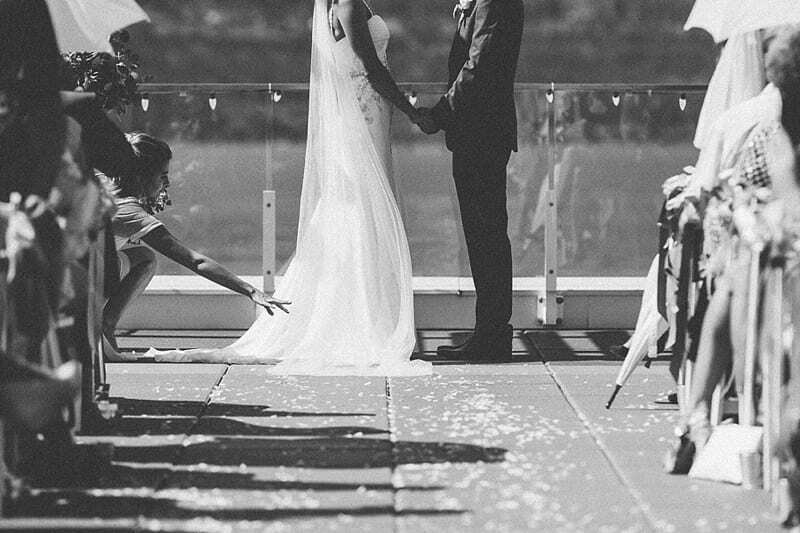 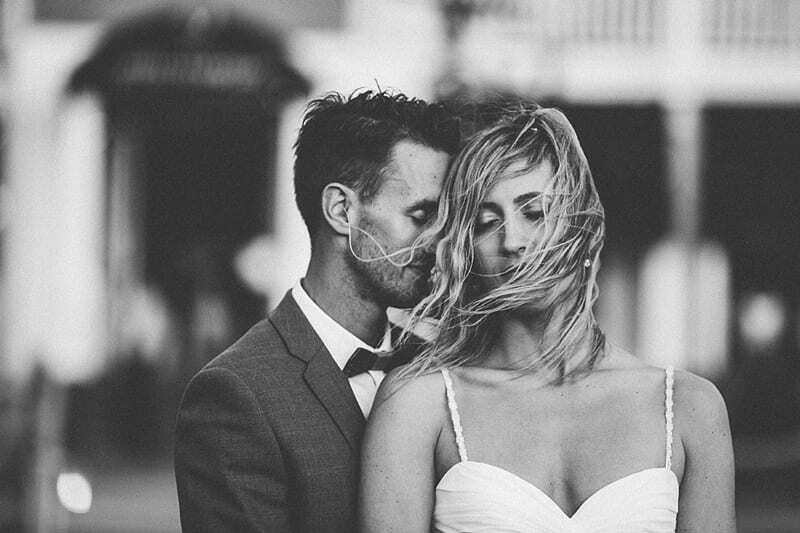 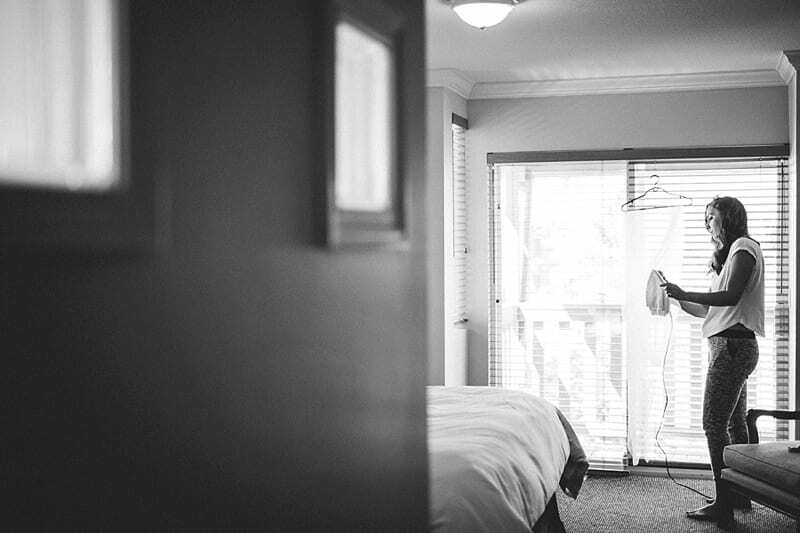 Toria + Tyson’s Kelowna wedding was such a dream for us at Barnett Photography. 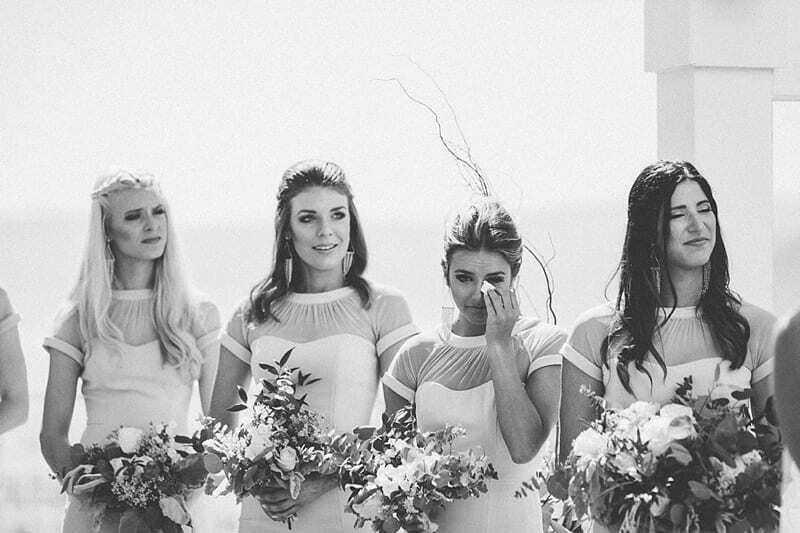 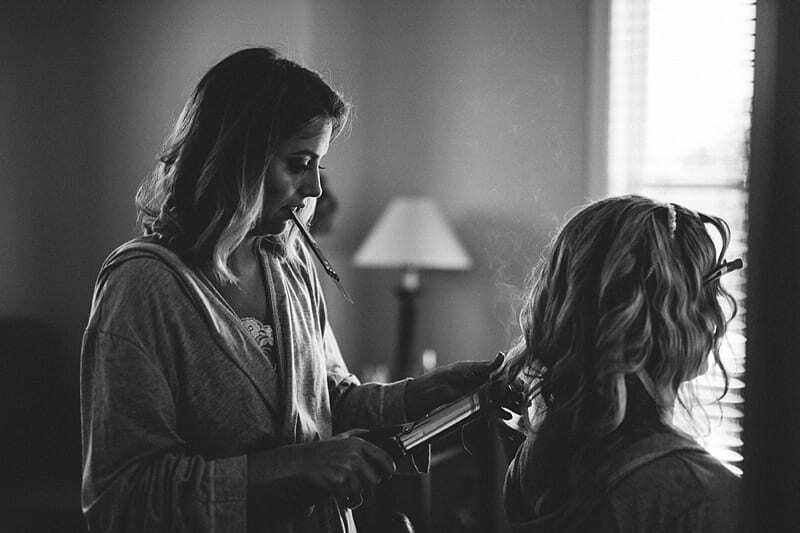 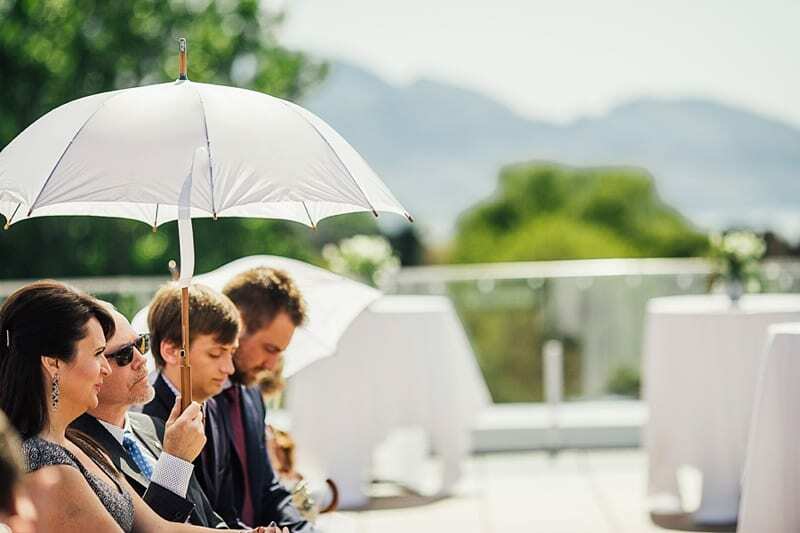 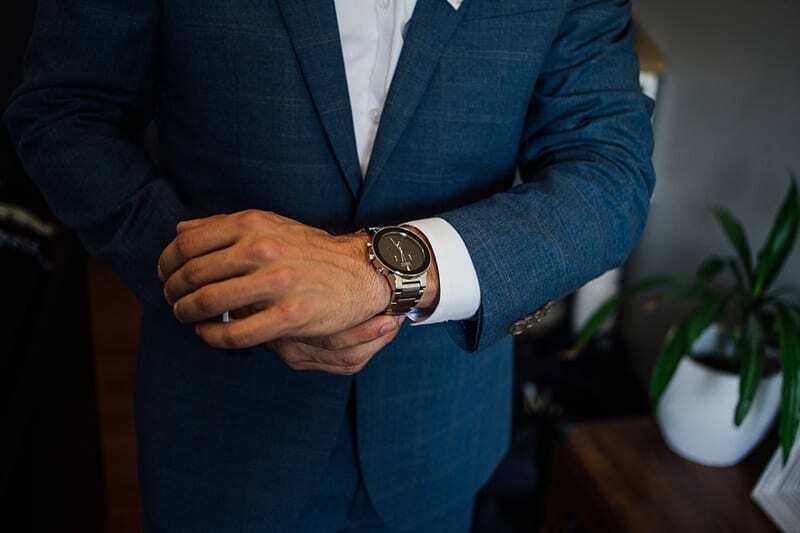 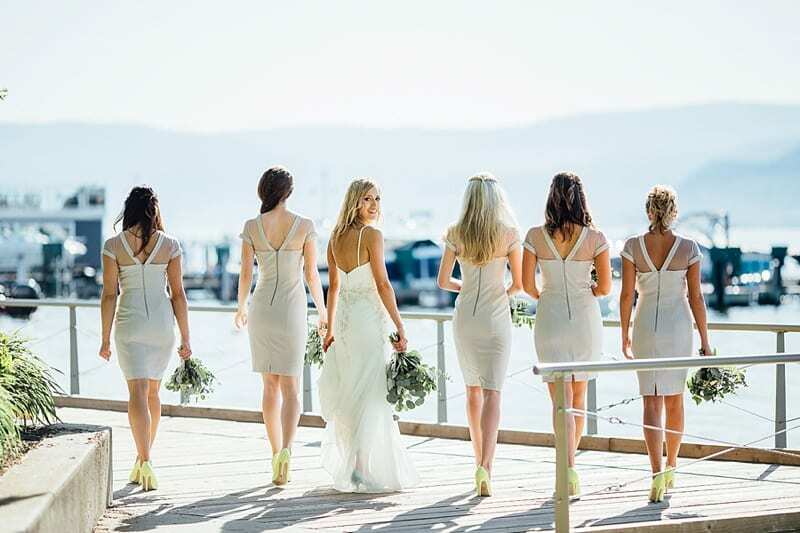 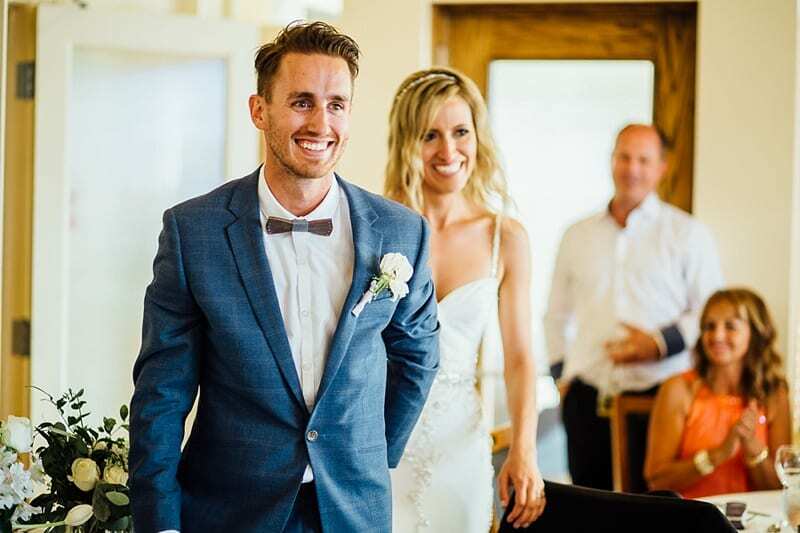 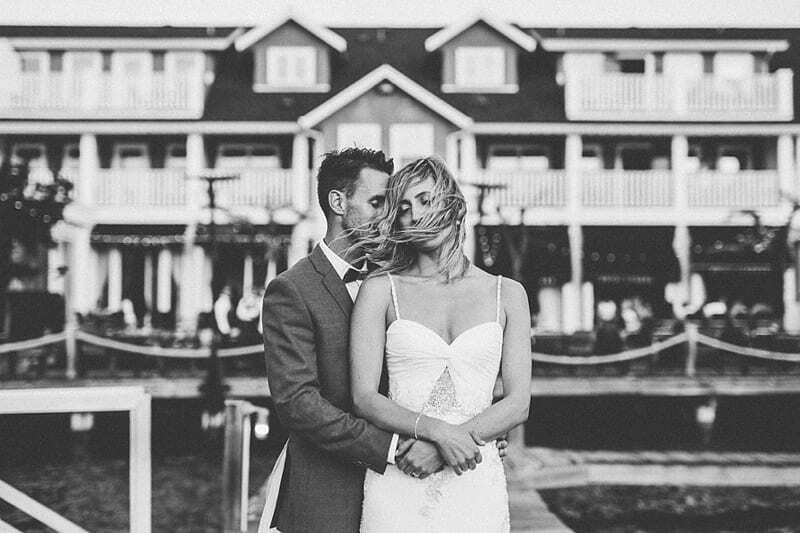 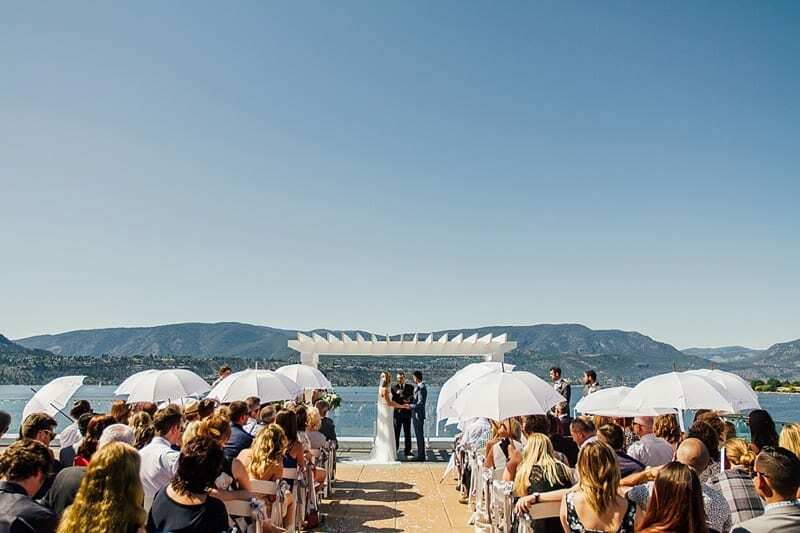 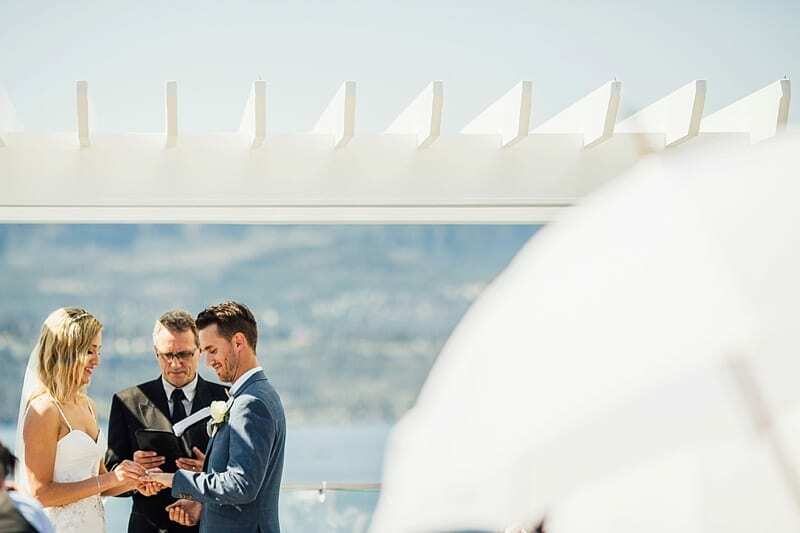 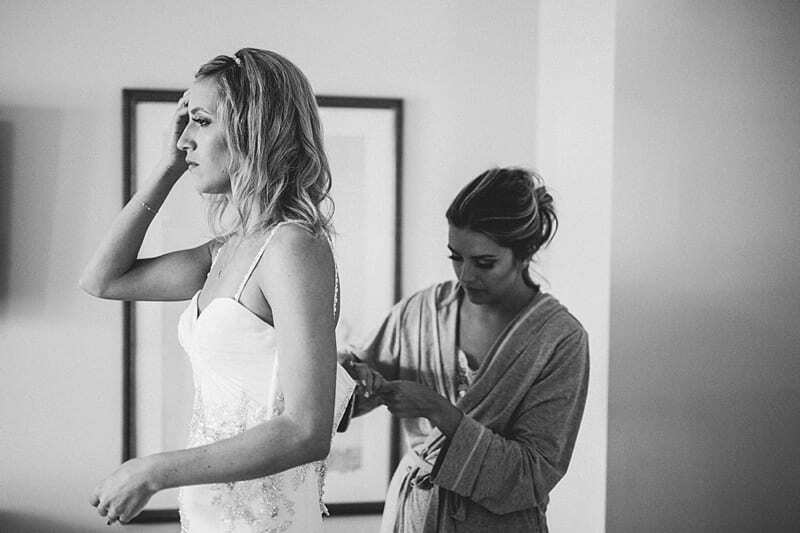 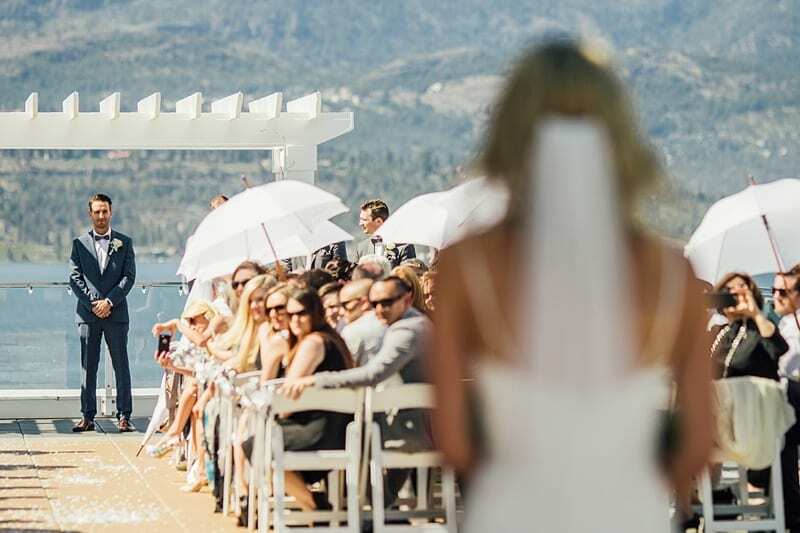 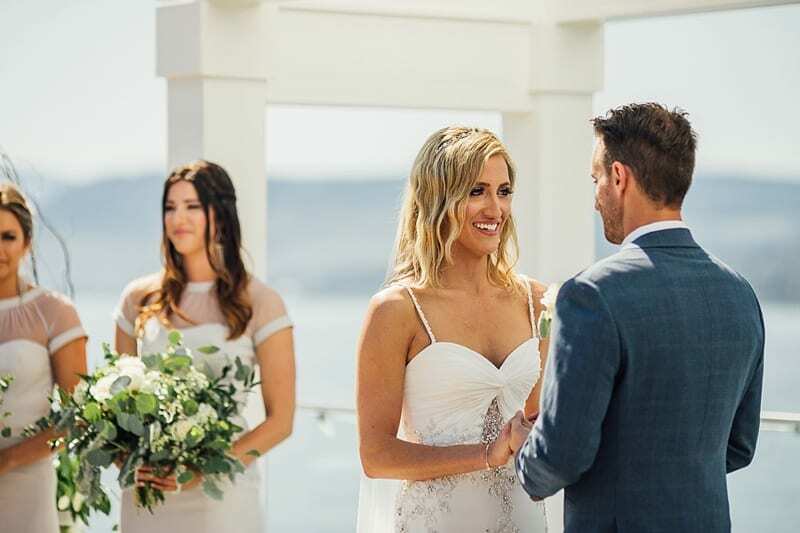 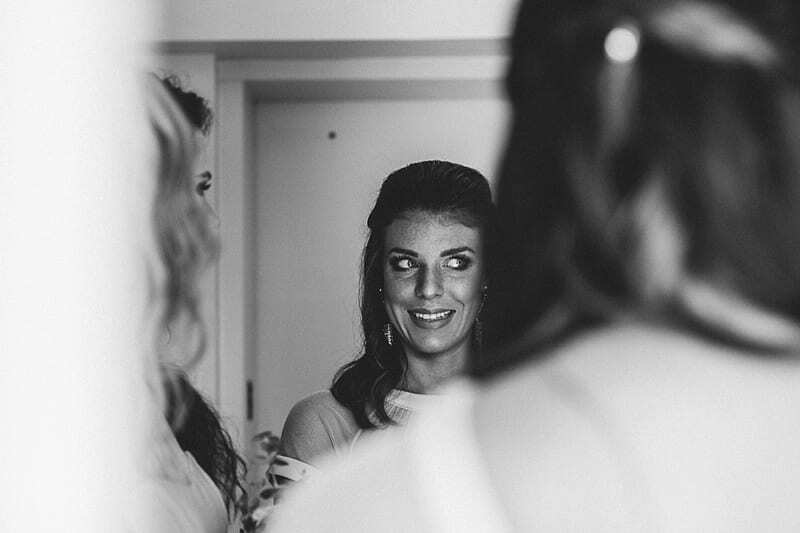 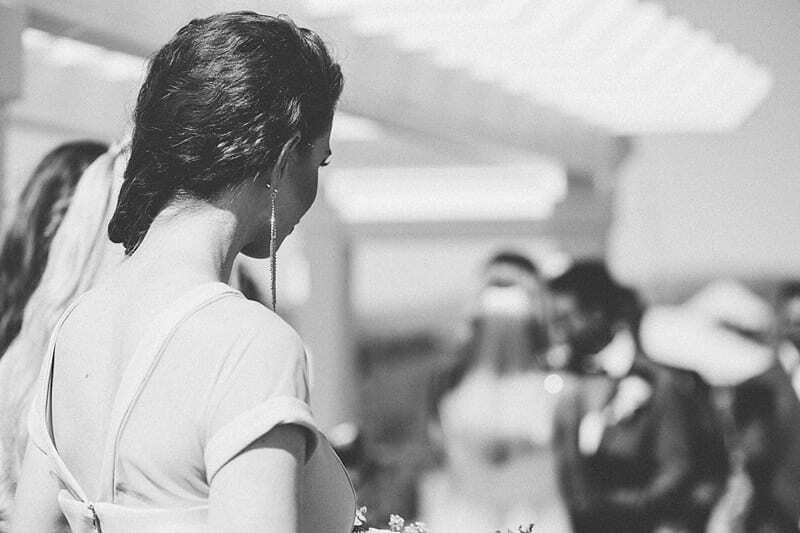 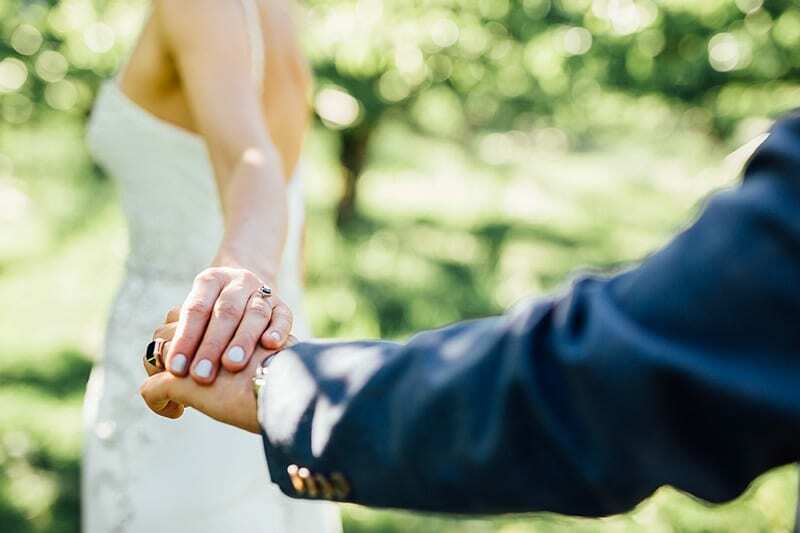 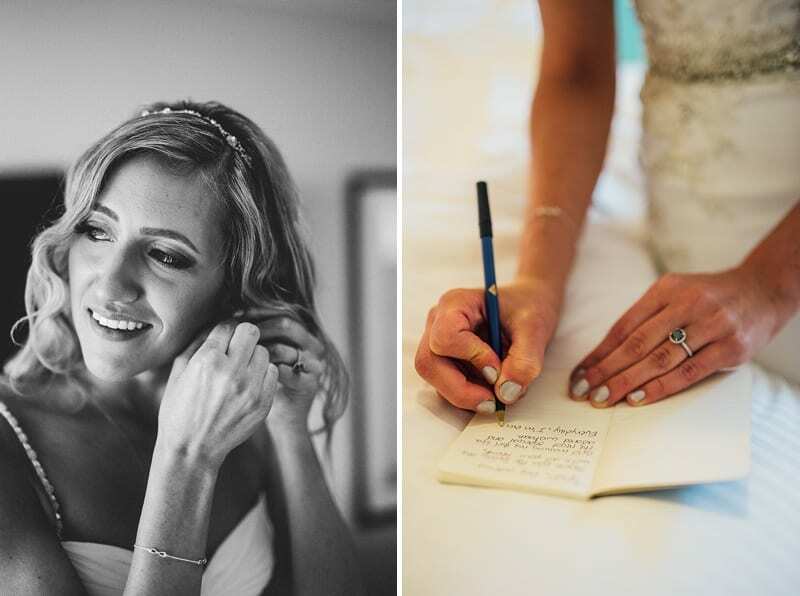 From getting ready at the Manteo Resort in Kelowna, to the ceremony and reception at the Hotel Eldorado on the banks of the Okanagan Lake, it was so beautiful. 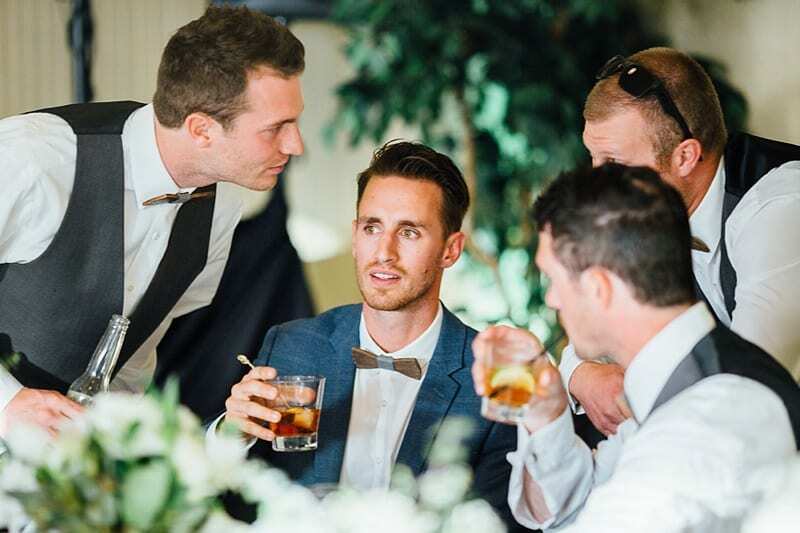 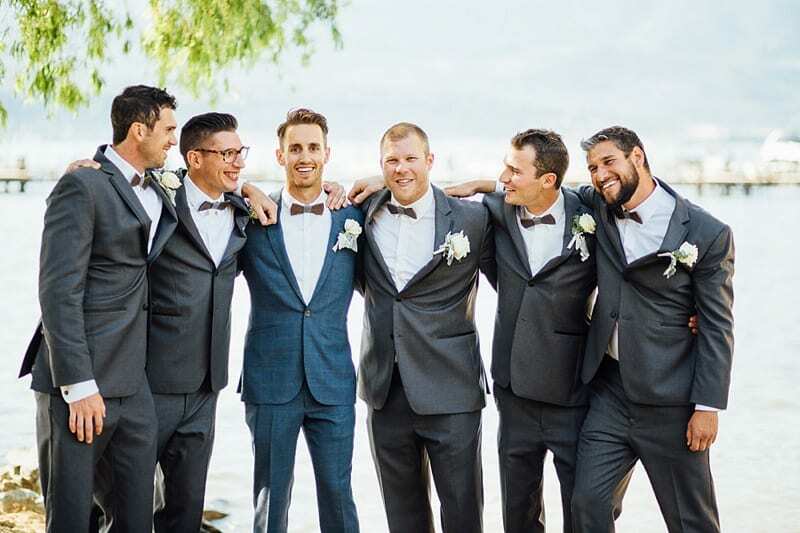 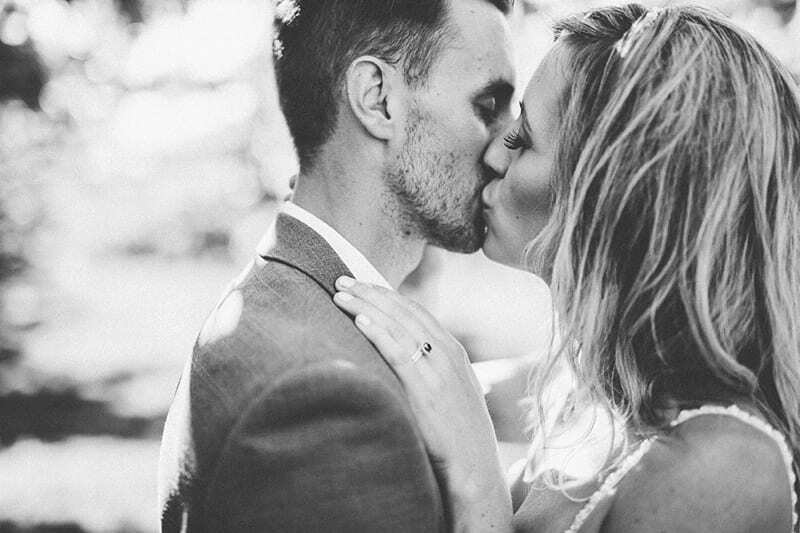 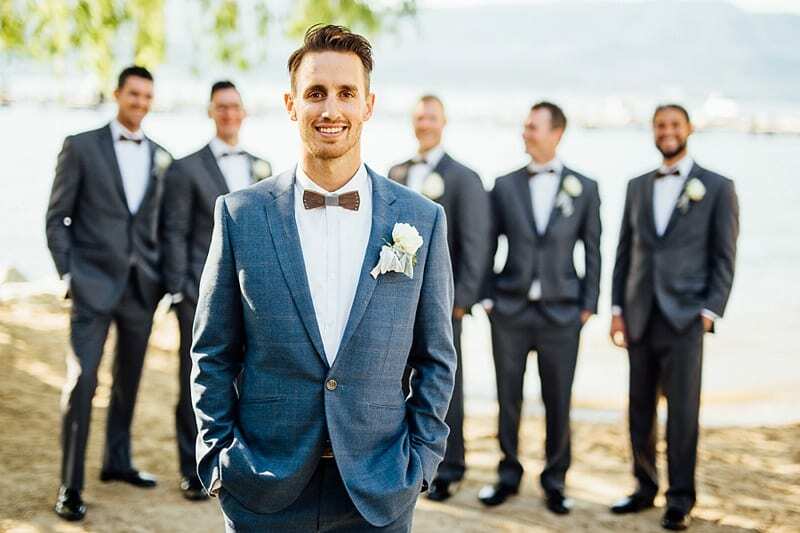 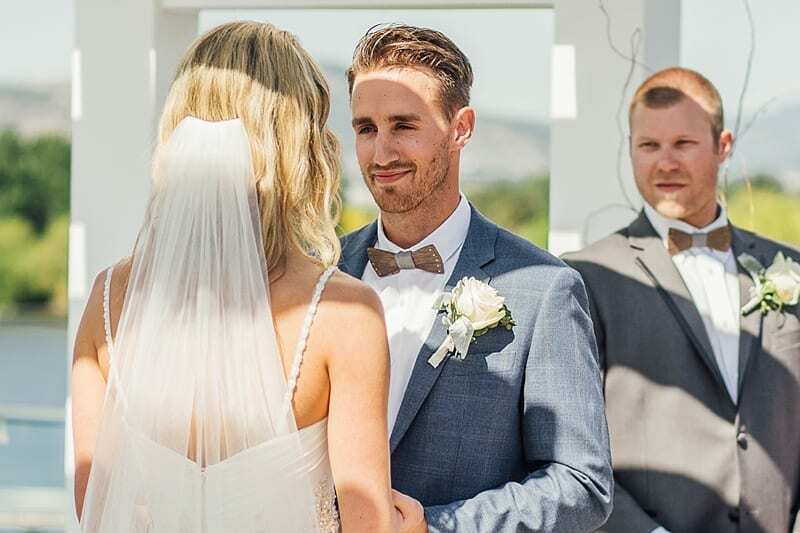 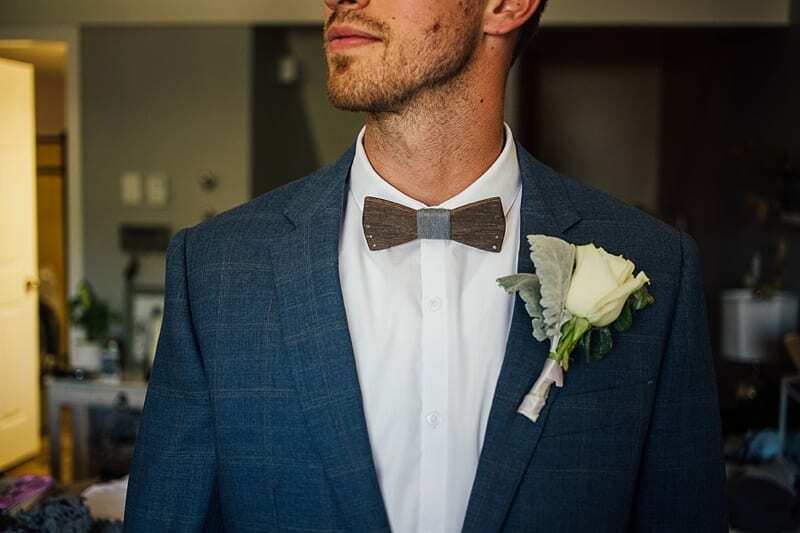 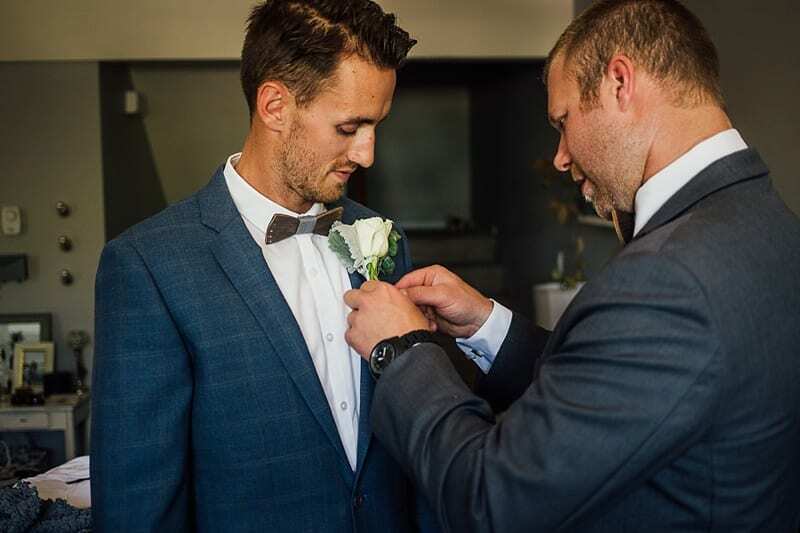 We loved Tyson and his groomsmen’s wooden bowties, and Toria’s flowing white dress had us swooning during portraits in both a lush green Orchard and on the docks of the Hotel Eldorado. 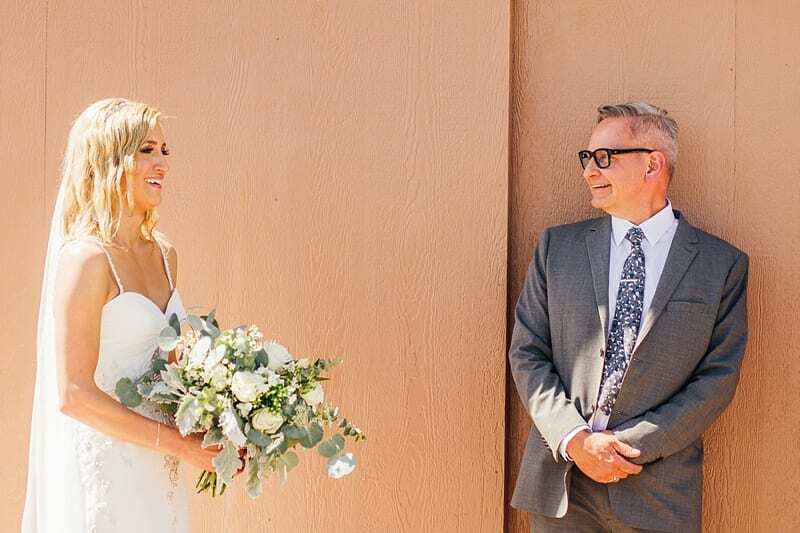 After a gorgeous rooftop ceremony, we spent some time with the wedding party laughing, walking, taking pictures, and having the best time! 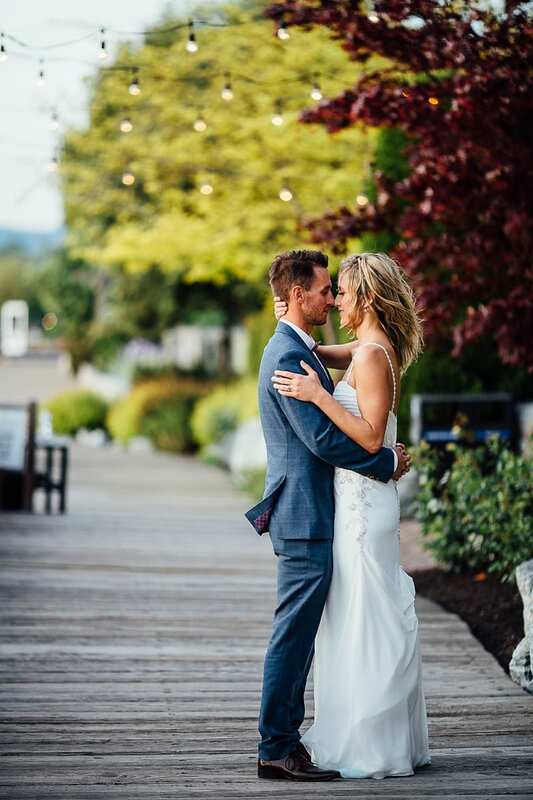 Later during couple’s portraits, a gentle breeze kept us cool in the evening and we loved the way Toria’s hair gently swept across her face while snuggled perfectly with Tyson in the soft Kelowna Sunset. 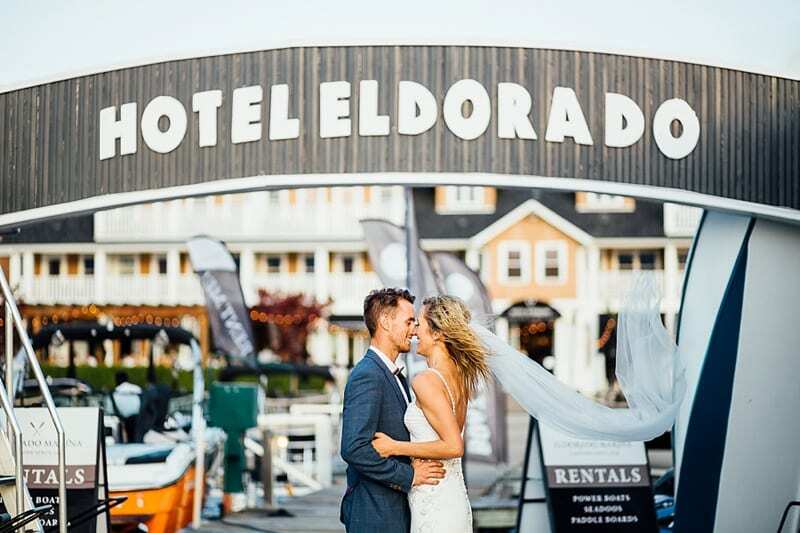 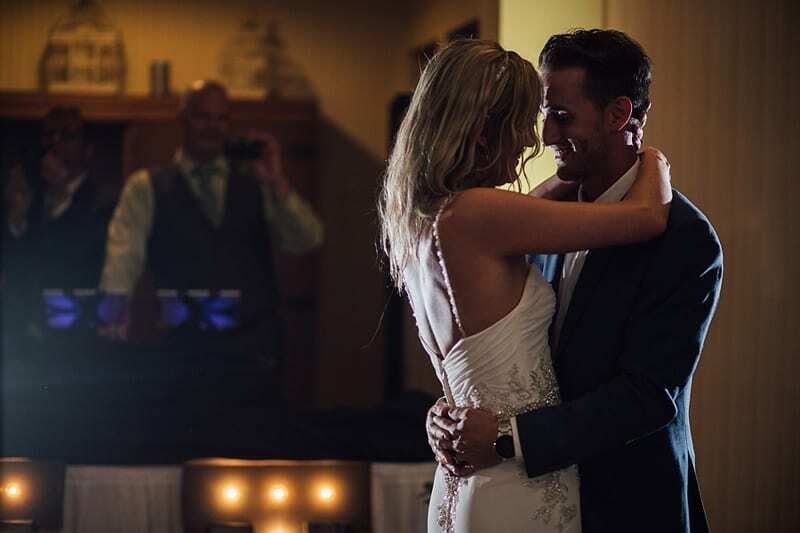 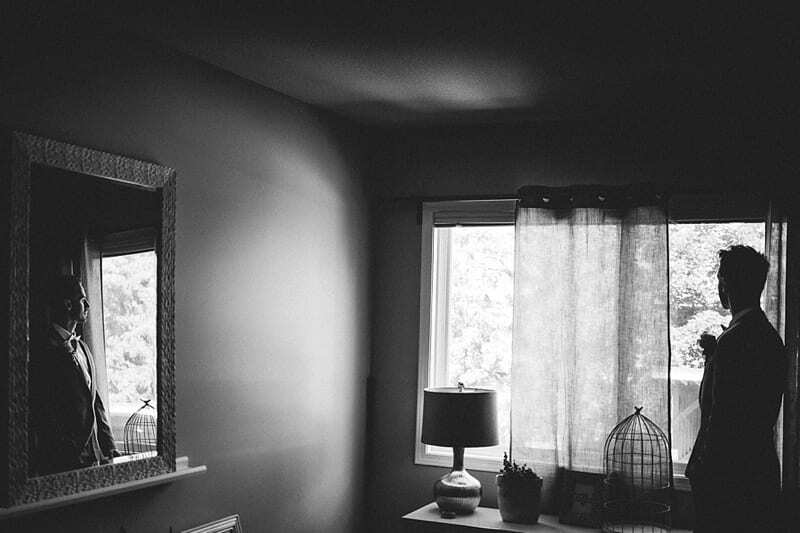 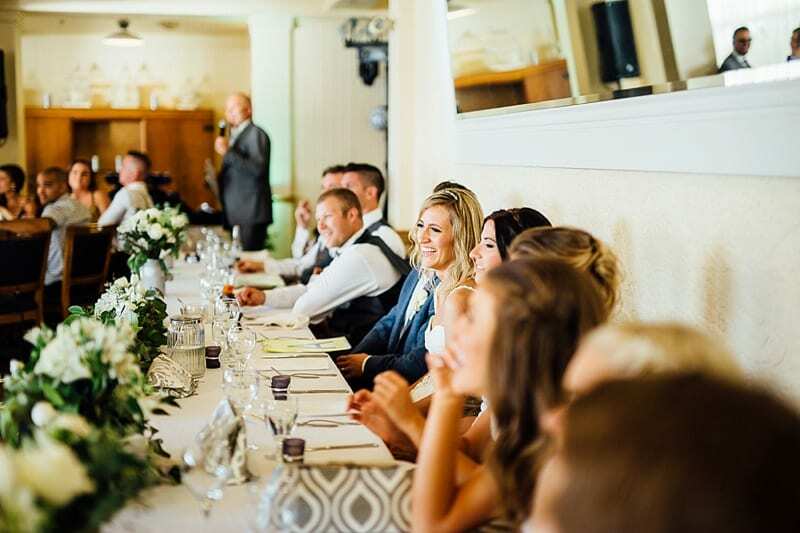 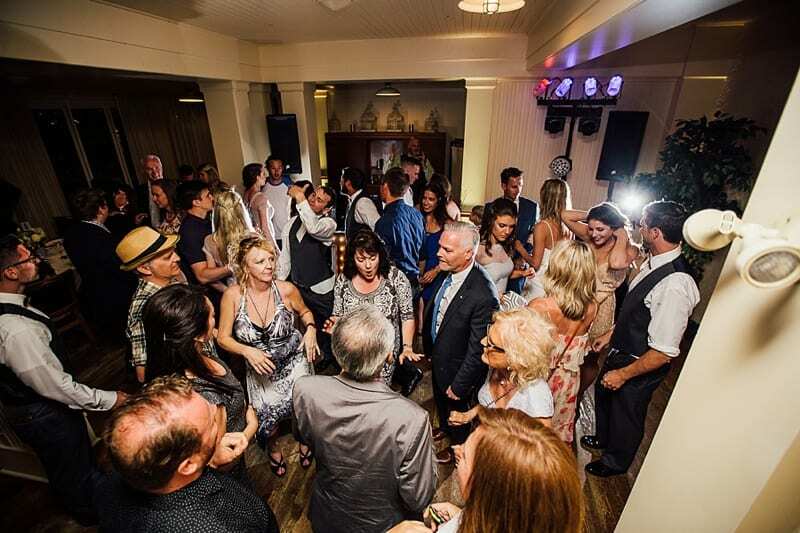 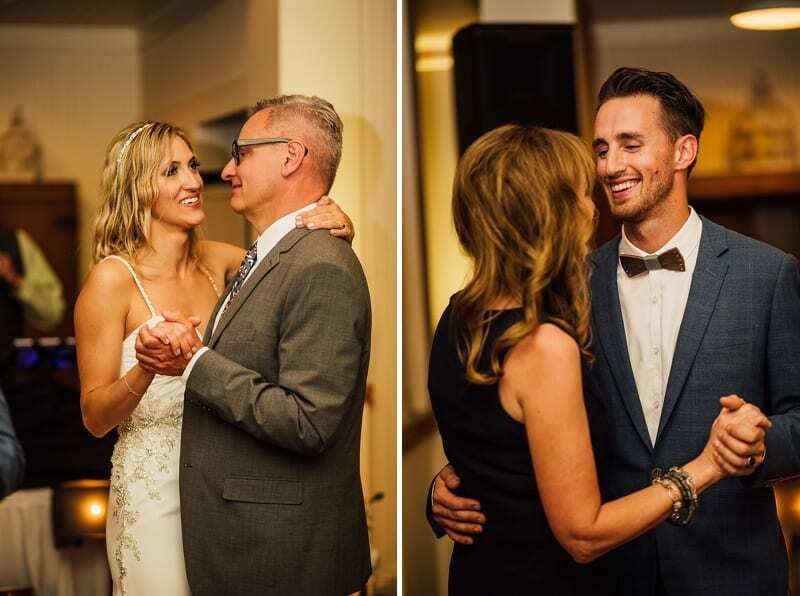 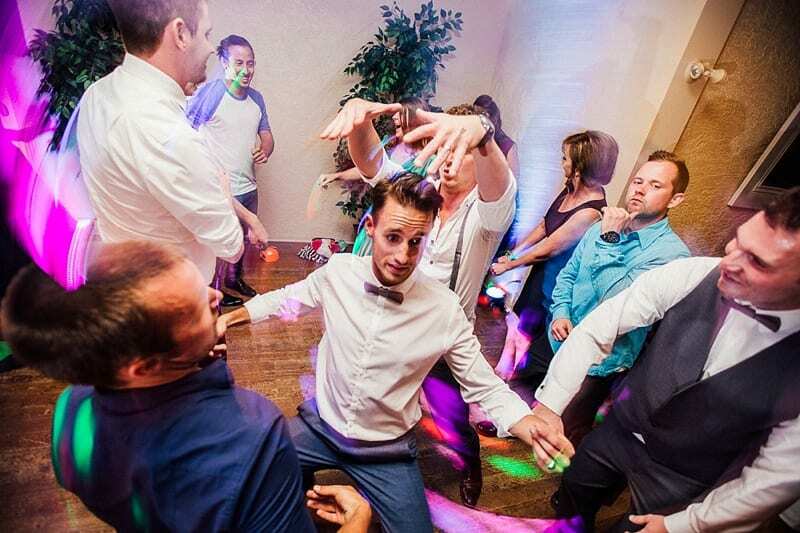 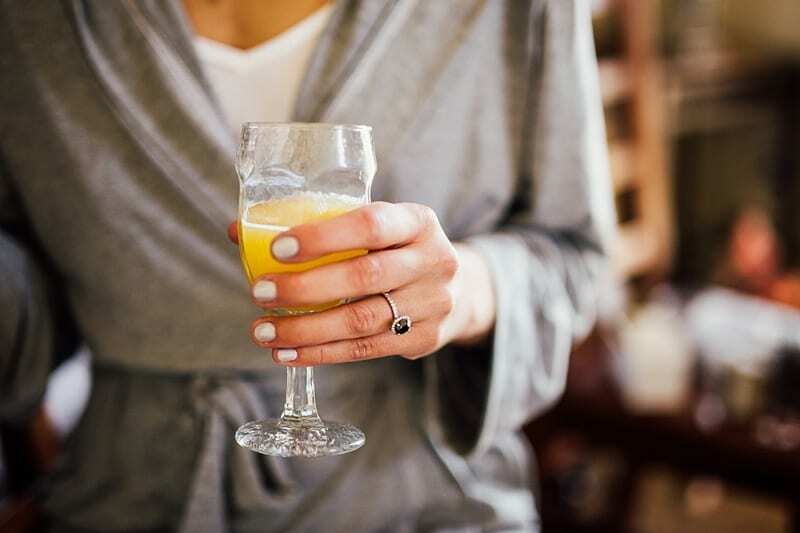 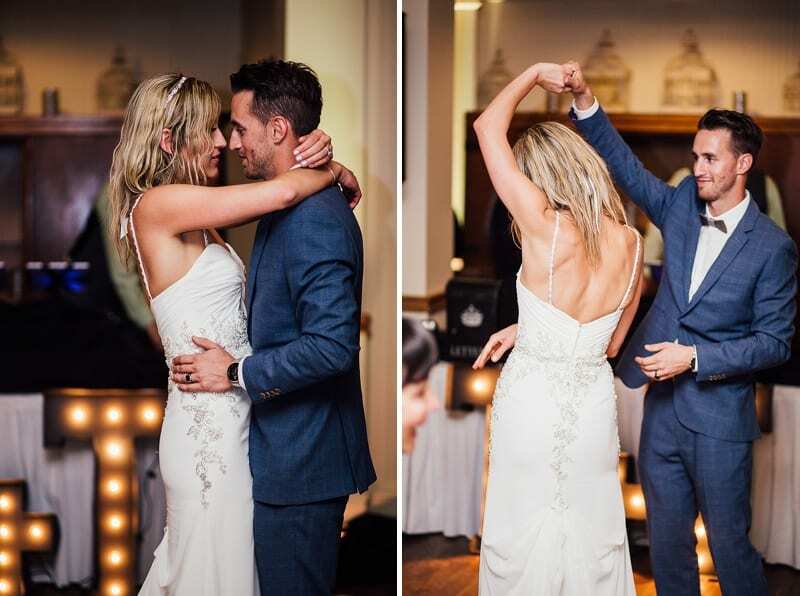 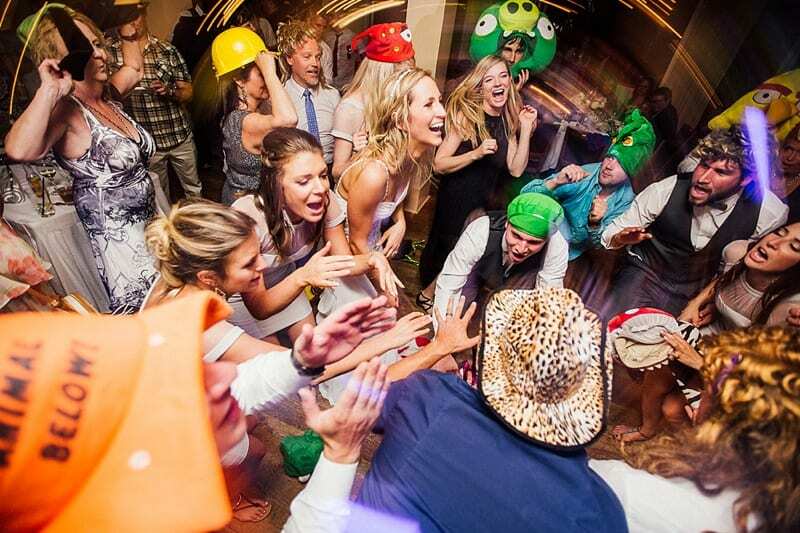 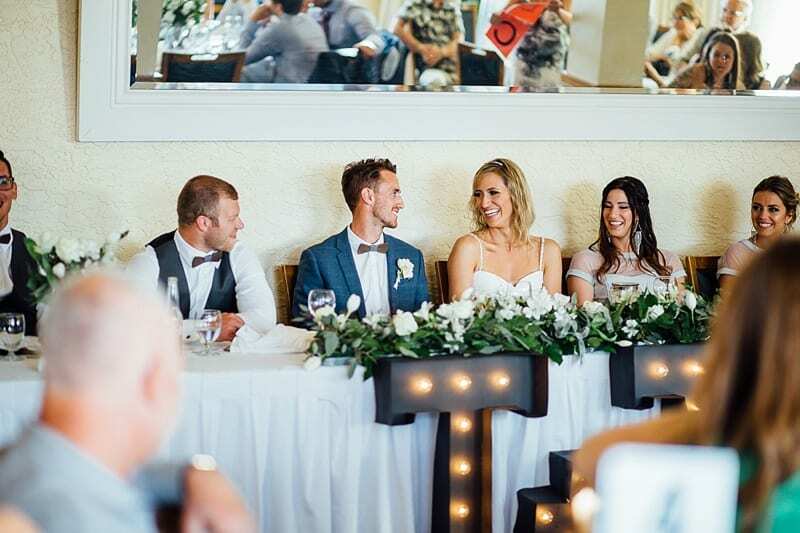 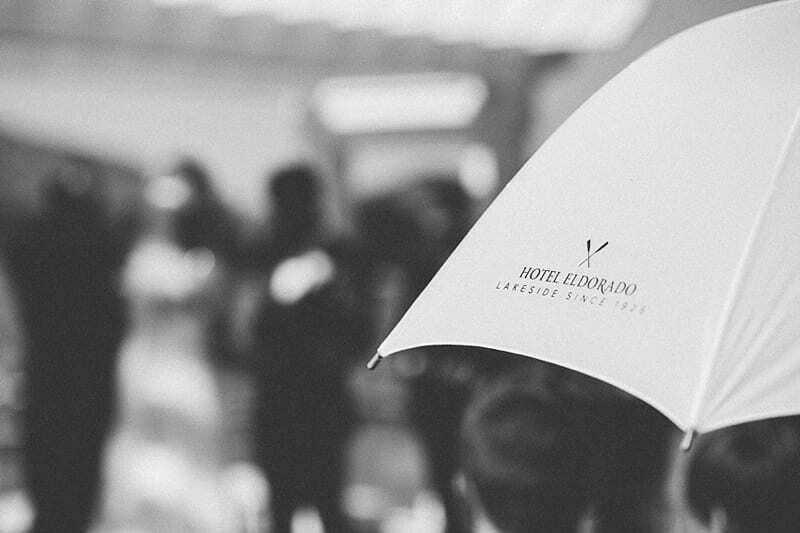 The Hotel Eldorado Sun Room was perfectly detailed with touches of vintage charm and DJ HayMaker had us in stitches playing the newlywed game followed by heartfelt words from the couple’s friends and parents. 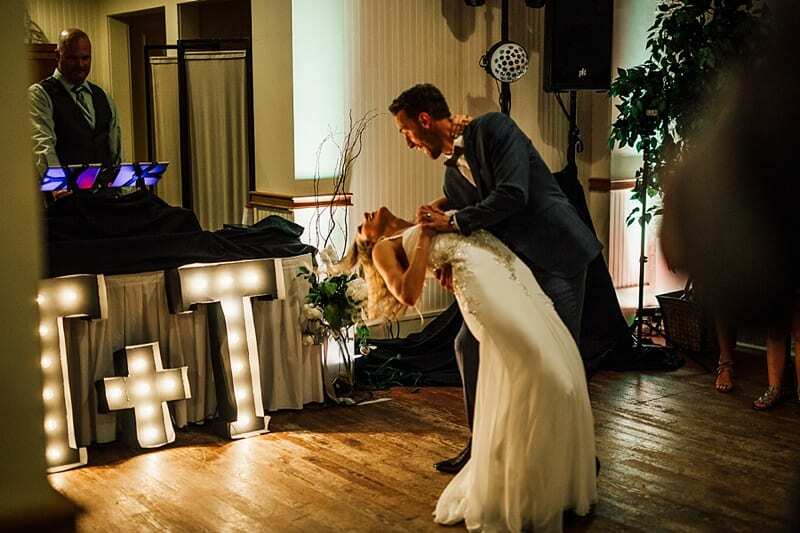 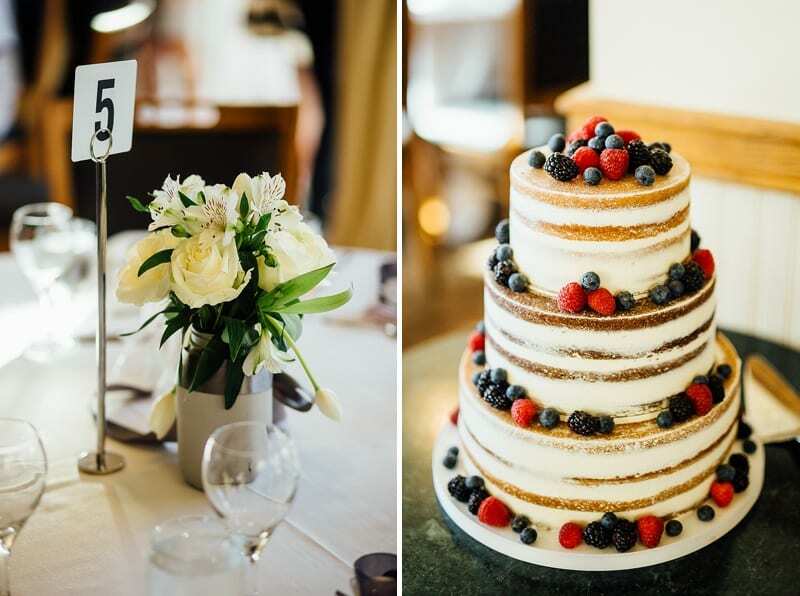 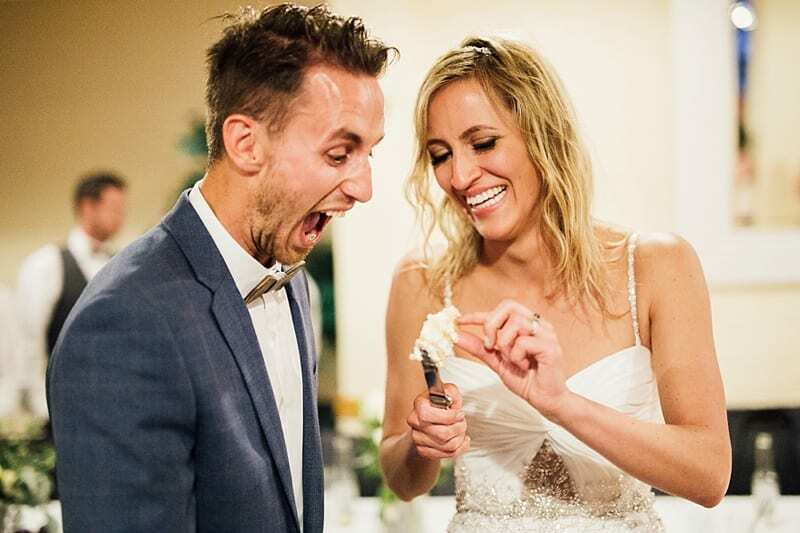 We enjoyed a delicious piece of a gorgeous cake from Sugar Sweet Cake Co. and after DJ Haymaker was back at it keeping the party going through the first dance and into the night! 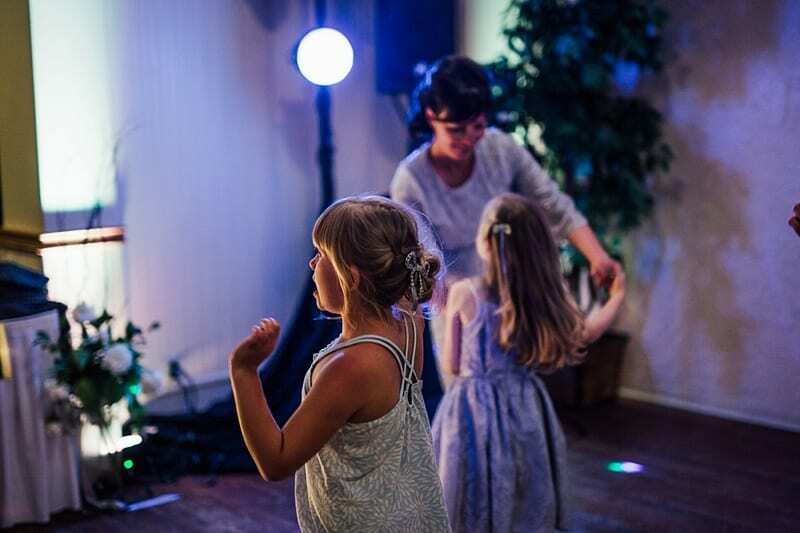 Big thanks to Toria + Tyson and all the their awesome friends and family for showing us such a wonderful time! 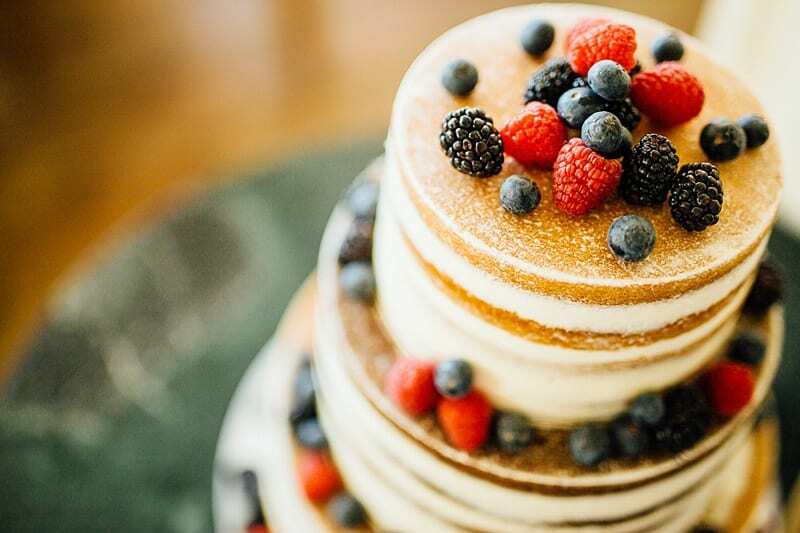 Cake: Sugar Sweet Cake Co.
Here’s Toria and Tyson’s orchard engagement photography session! 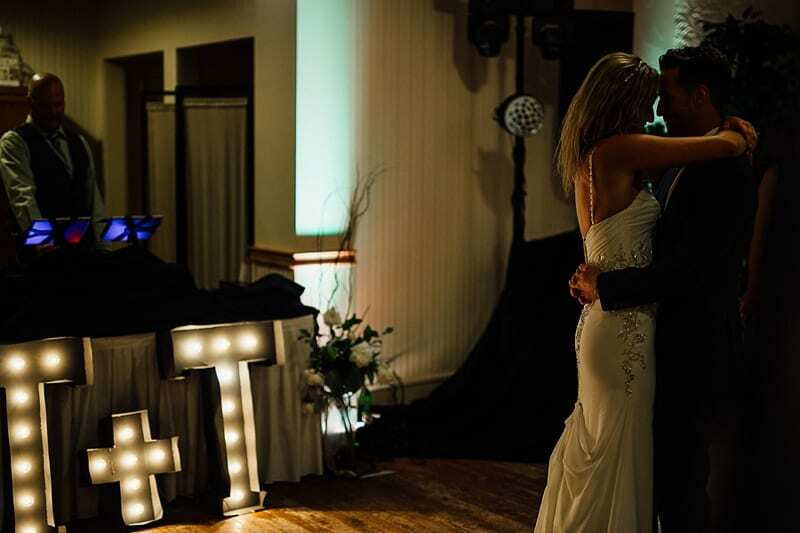 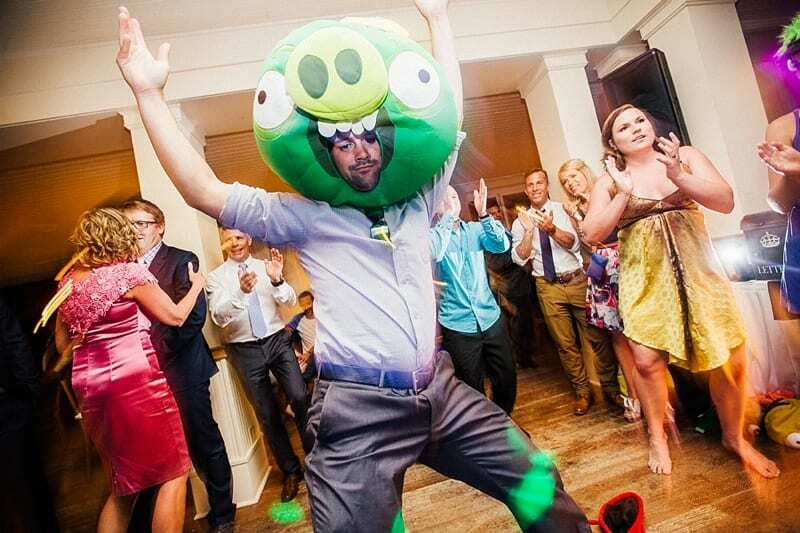 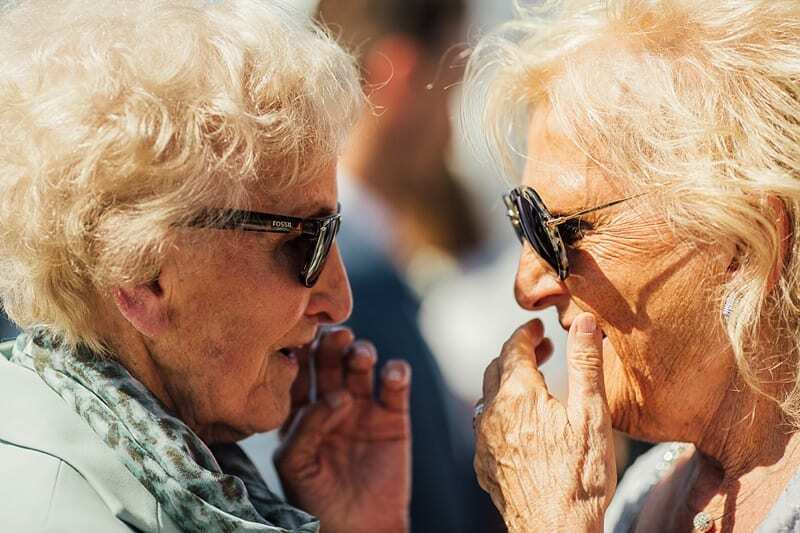 Leave a comment for a our happy couple!